Item # 311798 Stash Points: 5,495 (?) This is the number of points you get in The Zumiez Stash for purchasing this item. Stash points are redeemable for exclusive rewards only available to Zumiez Stash members. To redeem your points check out the rewards catalog on thestash.zumiez.com. Bring balance to your flip tricks and complete setup with DGK's Yin Yang 8.38" Skateboard Deck. 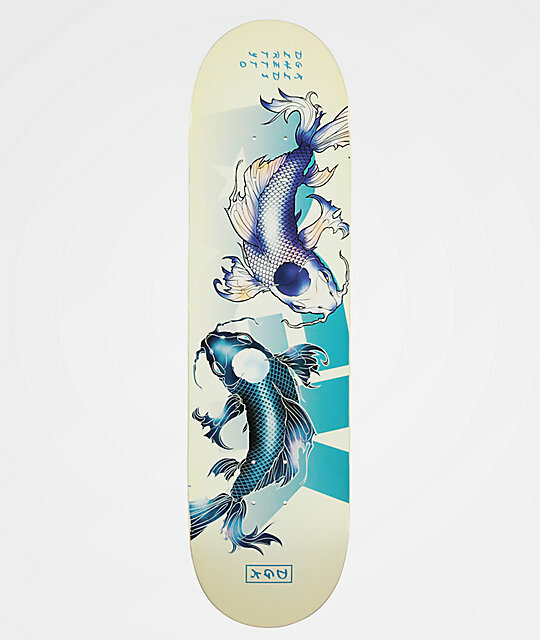 Made from a traditional 7-ply construction, this white, blue and silver deck offers a durable structure and comes complete with an awe-inspiring graphic of two majestic koi fish. 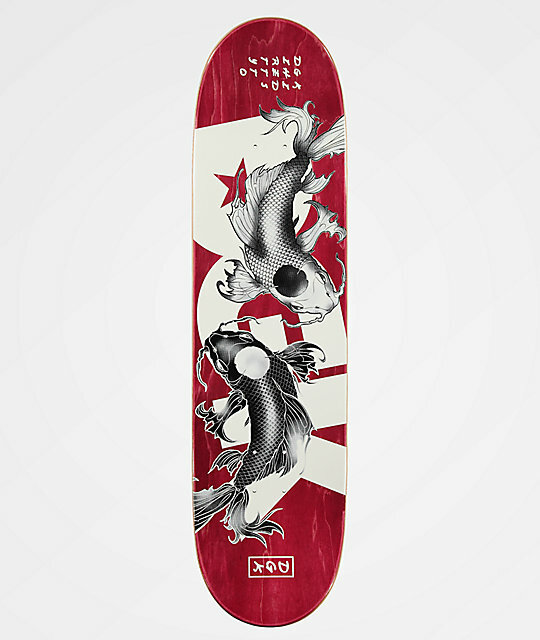 Yin Yang 8.38" Skateboard Deck from DGK. Moderate pitched, wide and short kick tails.